The crisis was not long in coming. In January 1987, Sri Lankan military started a new offensive, putting the Tamil city Jaffna under martial law. The entire Tamil north was put under embargo, stopping supplies of even essential like food and medicine and creating famine-like conditions. The government also started using its newly-acquired air power for air strikes. Undoubtedly, these were highly brutal tactics, causing incalculable harm to the innocent Tamil civilians. Given Jayewardene’s stubbornness, Gandhi was forced to take more drastic measures. On 2 June, the Sri Lankans were informed that in a few hours India will be unarmed ships carrying food and medicine for the embargoed Jaffna city. The Indian ships will be sailing through the Sri Lankan naval blockade and delivering the relief supplies to the distraught Tamils. However, by this point, Jayewardene was too committed to turn back. The nationalist Sinhalese population (including the Buddhist monasteries) were goading him on to take on the big Indian bully. On 2 June, as the Indian fishing boats sailed into Sri Lankan waters, they were stopped by the Sri Lankan navy and sent back to India. The next day, Colombo erupted with jubilant victory rush, having stood up to India. When the Indian High Commissioner in Colombo was asked by the media about the incident, he told them instead of self-congratulating, they should be worrying about Indian reaction. JR Jayewardene (pictured above): What do you think will happen if I do not listen to Rajiv Gandhi’s advice? The reaction came two days later. The Sri Lankan government was informed by New Delhi that India will be making the same relief drop again, this time by air. The relief will be escorted by Indian Air Force’s Mirage fighters with instructions to retaliate any fire. Essentially, India was invading Sri Lankan airspace and the latter could do nothing about it. The Indian airdrop changed the entire dynamics at one fell swoop. Being a relief mission, India drew minimal international criticism for violating Sri Lankan sovereignty. But it also sent home the message that India was willing to use force, if necessary, to get the job done. Suddenly, Jayewardene became far more receptive to Indian advice. The military offensive was stopped and Red Cross was allowed to move in relief supplies. In the aftermath, Indian diplomats communicated to Jayewardene that Gandhi was committed to making sure that any new Sri Lankan military offensive will not succeed. Colombo had no choice but to negotiate with the Tamils. The negotiations began in July, resulting in the Indo-Sri Lanka Peace Accord. Basically, the accord was a ceasefire between the two sides. While Tamils will be given autonomy, the insurgents will give up their arms and contest elections. India will guarantee that both sides will keep to their end of the agreement. The accord was between India and Sri Lanka, with New Delhi essentially negotiating on behalf of the Tamils. This was a key factor in what unfolded afterwards. As we have seen India had very different interests than the Tamils. Indians wanted the conflict resolved quickly and while maintaining Sri Lanka intact, with no independence for the Tamils, only autonomy. Additionally, India was also piggybacking its own security interests on the Tamil issue. As part of the negotiations, New Delhi forced Sri Lanka to agree that it will scale back its involvement with other countries like Pakistan and the US and give India control of Sri Lankan oil depots. The Tamils had no reason to trust that India will negotiate for them honestly. While other Tamil groups were ready to get onboard, LTTE was reluctant to sign-off on the deal. To convince Prabhakaran, Indian intelligence had him airlifted from Sri Lanka and put up in the Delhi’s Asoka Hotel. On 28 July, Rajiv Gandhi visited him there to change his mind. 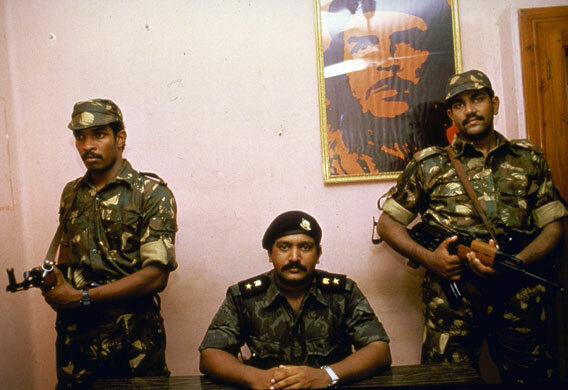 Eventually Prabhakaran agreed to go along as long as he was paid a few crores of rupees and promised dominant position in the Tamil government to be formed. Later Prabhakaran claimed that he was coerced to agree by the Indian intelligence under threat, while Indian side denies any such pressure. 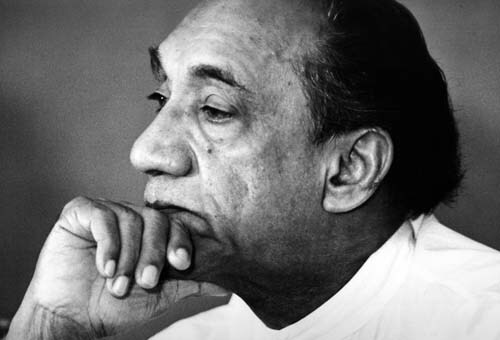 First, with such a huge political flip-flop from being anti-India to pro-India in a month, Jayewardene had become immensely unpopular among the Sinhalese. He was afraid for his own safety and suspected that a coup may be carried out against him by his own military and cabinet. He requested Indian guarantee for his safety. Immediately, Indian naval warships were moved in next to Colombo and a team of Indian commandos was stationed in Colombo’s Hotel Taj Samudra to protect the president. While this ensured Jayewardene’s safety, it also made him even further unpopular, all but sealing his fate to lose the next election and victory of a more nationalist, anti-Indian candidate. Second, the president was worried about law and order in the North. Since the ceasefire required withdrawal of Sri Lankan forces from the area, the president was worried that with no one left to police, the north will descend into chaos before the elections are held. Again he found Gandhi agreeable. It was decided that 6000 troops of the Indian Army will be deployed to keep the peace until situation stabilizes. Gandhi considered this peace-keeping mission more of a formality rather than a decision to militarily intervene in the conflict. On such a short notice, Indian Army deployed the formation closest to Sri Lanka, undermanned and untrained for such mission. It was commanded by Major General Harkirat Singh, a man of limited abilities. Its mission was vague and broad. The hope was that the force will be back home by the year’s end. And should the Tamil, especially LTTE, try to break their promise, Gandhi was assured by the Indian Chief of Army Staff K Sundarji that it will take them “72 hours to 7 days” to neutralize it. In the history of faulty military assessments, Sundarji’s predictions proved to rank very high. Prabhakaran never had any intention to keep his word. LTTE had begun preparing for fighting Indian troops before they even reached Sri Lanka. The accord was dead within weeks of signing it. Three years and 1200 death later, the Indian Peace Keeping Force of 100,000 men, was still far from neutralizing LTTE. Eventually, it returned in failure, defeated by India’s domestic politics, LTTE and newly-elected nationalist, anti-Indian government in Colombo. Over these three years, Indian forces made many mistakes. But the seeds of its defeat, as we have seen, were sown before their mission began. This entry was posted in India's Wars, Peacekeeping in Sri Lanka, Rajiv Gandhi and tagged accord, dixit, indira gandhi, IPKF, jayewardene, LTTE, prabhakran, rajiv gandhi. Bookmark the permalink. Mate! You can be awarded the title of “the greatest historian wannabe ever lived on Earth”. 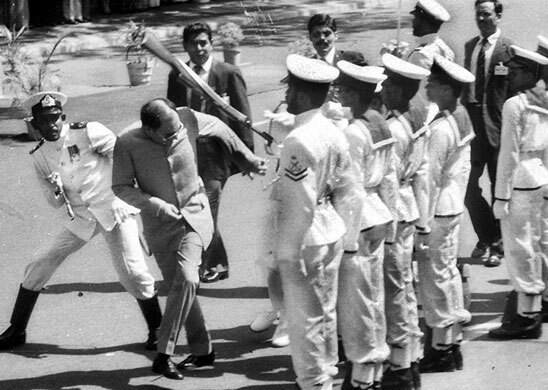 Your comments under the last picture say “Rajiv Gandhi was attacked by one of the Tamil soldiers of Sri Lankan army”. What an impeccable observation and recounting of events. Rajiv Gandhi was attacked by an ethnic sinhalese man named Vijitha Rohana Wijemuni, who was with the Srilankan Navy which is a well known fact and the attack itself has been a highly publicised event on the media for the growing anger among the sinhalese after the India-sri lanka Accord . Refer to the following link “http://www.newindianexpress.com/world/No-regrets-for-attack-on-Rajiv-says-Lankan-guard/2013/07/30/article1708707.ece” Now I can be so sure how authentic your account or revisit whatever the heck it might be is. Don’t write about something which you got no true idea of. You are right, this is an error that shouldn’t have happened. I have now corrected it. I truly apologize. Thanks for pointing it out. where is 5 and 6 post?